"The emergence of engineered wood products has started a renaissance for using timber as a key construction material in mid- to-high-rise buildings," Brown says. "We're seeing a lot of hybrid concrete-timber and steel-timber buildings that still rely on concrete or steel cores to resist seismic forces. I'm exploring whether that part of the building could be replaced with a timber solution and to what height this is practicable and economical." Compared with traditionally built mid- to high-rise buildings, all-timber solutions also have a lower environmental impact. The doctoral student aspires to show that a timber core can be structurally sound and cost competitive, compared with commonly used concrete cores. He is excited about the impact his research will have on future eco-friendly buildings and their seismic resilience. "Aotearoa New Zealand's earthquake hazard, combined with climate change, is fuelling interest in innovative, sustainable and resilient building solutions," Brown says. "The timber cores will also adopt low-damage seismic design technologies, so that during major earthquakes, damage to the buildings is minimal and occupancy is restored quickly, meaning minimal repair cost and downtime." Currently, there are no design tools and minimal research available to help engineers design timber cores. 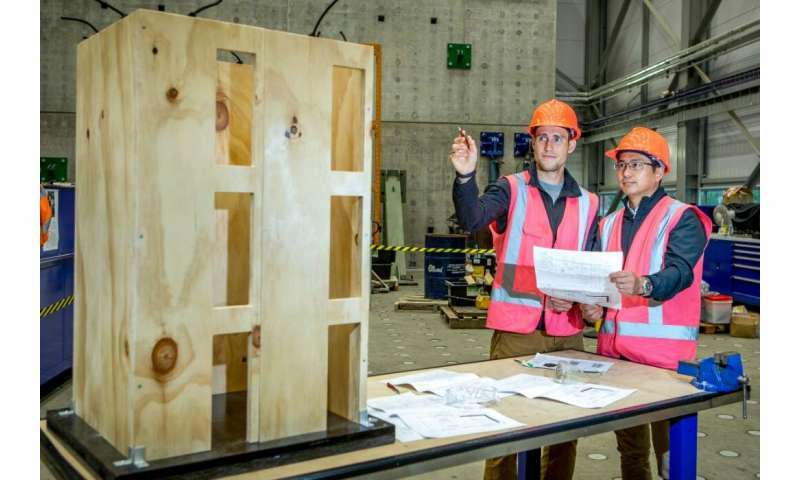 Brown is conducting a large-scale test of cross-laminated timber (CLT) core-walls. "There are already all-timber, multi-storey buildings being built today, but this research would allow for a new type of timber structure to be built. Through large-scale experimental testing of a timber core-wall, engineers will have data and design tools to design multi-storey timber buildings with improved seismic resilience."